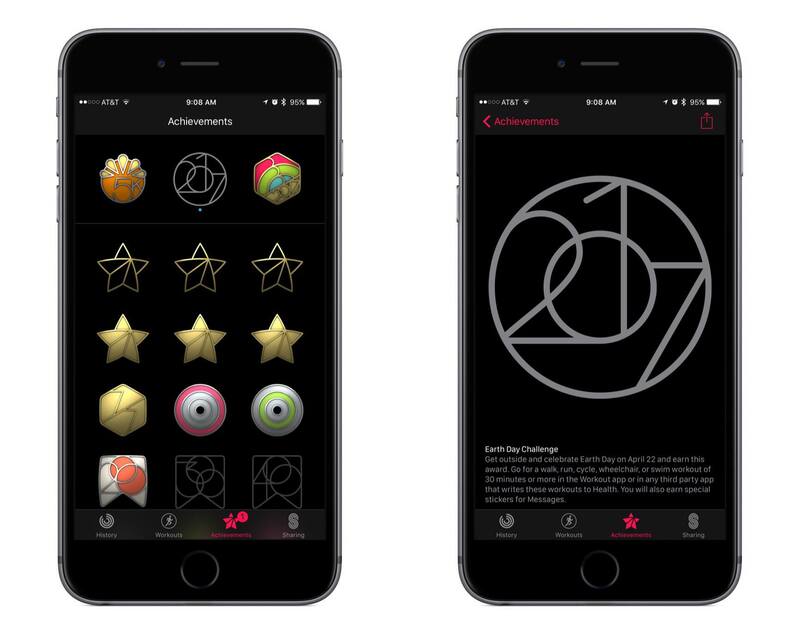 This morning Apple notified Apple Watch users that the company's third activity challenge was coming up soon. Following challenges for Thanksgiving (U.S. only) and the start of the new year, the latest challenge is in celebration of Earth Day on Saturday, April 22nd. This new challenge encourages Apple Watch owners to complete a 30-minute or longer walk, run, cycle, wheelchair, or swim workout on Earth Day. Doing so will earn a special Achievement in the Activity app, as well as unlock a few new iMessage stickers. My wife and I are two-for-two on prior activity challenges, so I'm sure we'll aim for the trifecta and complete the Earth Day challenge as well. If Apple pushed these challenges more frequently, they might be less motivating, but so far I think the company has struck a healthy level of frequency by centering challenges around special occasions.